PYEONGCHANG: The Court of Arbitration for Sport (CAS) said on Wednesday it has opened another arbitration procedure for 15 athletes and coaches who have appealed against their exclusion from the Pyeongchang Games by the International Olympic Committee (IOC). The court was also holding a separate hearing in a case involving 32 Russian athletes who appealed against their exclusion from the 2018 Winter Olympics in South Korea. 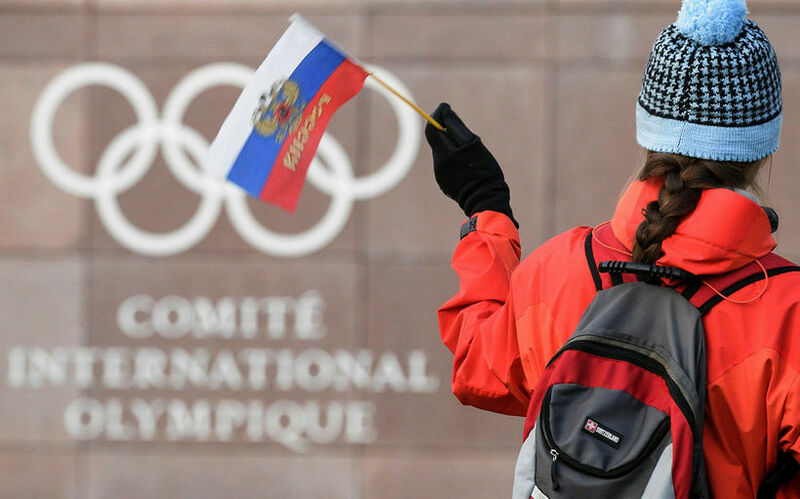 “They request that CAS overturn the IOC decision and allow them to participate in these Games as Olympic Athletes from Russia,” CAS said in a statement. The 15 applicants include cross-country skier Alexander Legkov, who won gold in the 50 km freestyle and silver in the 4×10 km relay at the 2014 Sochi Games, and skeleton athlete Elena Nikitina, who won bronze, among others. These athletes’ lifetime bans from the Olympics for alleged anti-doping rule violations in Sochi were lifted in a CAS ruling last week. CAS said decisions on the cases will be made in due course, without providing further detail. Even if the athletes’ appeal was successful, it was highly unlikely for any of them to be invited to compete in South Korea. The IOC last year banned Russia from Pyeongchang for what it called “systematic manipulation” of the anti-doping system at the Sochi Games. But the Olympic body left the door open to Russian athletes without a history of doping to compete as neutrals at its invitation.